How to rent a scooter in Orlando, FL? We have the largest scooter delivery coverage in Orlando, FL. Orlando scooter rentals delivered to wherever you are! Cloud of Goods delivers scooter rentals to all the Orlando area theme parks and attractions including Disney World and Universal Orlando parks, resorts, and attractions. We deliver your Orlando scooter rental to all the Orlando area vacation homes, hotels, and resorts including Disney and Universal Orlando resorts. 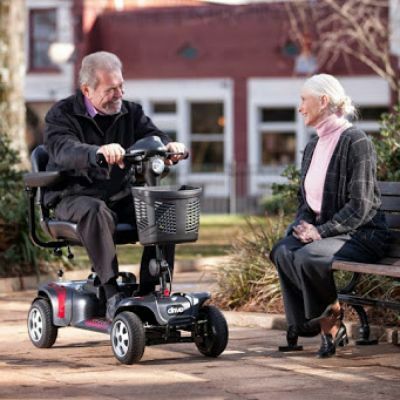 We carry Pride Mobility and Drive Medical Mobility Scooter models in our Orlando mobility scooter (ECV) rental inventory. For daily use by commuters and other adults. Equipped with airless rubber tires. 3.25 hrs. charge time. At Cloud of Goods Orlando, what you get is not just a scooter, you will enjoy our Five Star Customer Support and the great end to end rental experience that will keep you coming back to Cloud of Goods year after year. Cloud of Goods customers love the service we provide! Multi-generational family trip to Orlando? Cloud of Goods can provide everything you want for everyone in your party to make your Orlando vacation worry-free! The following info will help you clarify certain questions you have about renting scooters from Cloud of Goods. How much does it cost to rent a scooter at Disney World? Can you rent motorized handicap scooters at Disney World? Yes! You can rent handicap scooters (ECVs) at Disney World. However, if you are planning to rent a mobility aid for your Disney World trip, it’s best to make a rental reservation ahead of time since Disney World as well as the 3rd party vendors including Cloud of Goods often get sold out. Is Disney World handicap accessible? Yes. Disney World theme parks (Magic Kingdom, Epcot, Disney’s Hollywood Studios, Animal Kingdom) and Disney resorts are Handicap Accessible. Here’s a detailed guide on the accessibility of different Disney parks, resorts, and attractions. Is Universal Studios Orlando handicap accessible? Universal Studios and Universal Orlando resorts and parks are handicap accessible. However, With the exception of Hogwarts™ Express, none of the ride vehicles or attraction queues at Universal Orlando™ can accommodate Electric Convenience Vehicles (ECVs) or motorized wheelchairs. 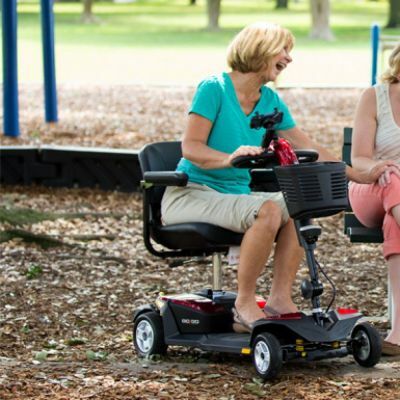 At the rides that can accommodate manual wheelchairs, you may transfer from your ECV or motorized wheelchair into a manual wheelchair provided at each location. Cloud of Goods highly recommends reading Universal Orlando’s accessibility page for detailed accessibility information for Universal Orlando parks and resorts. Can I bring my own Mobility Scooter during my visit to Walt Disney World Resort? Yes. You may bring your own ECV scooter to any of the Walt Disney World theme parks or resorts. However, it’s easier and convenient to rent one from Cloud of Goods instead of lugging your own. What types of scooters available for rent by Cloud of Goods in Orlando? Lightweight Mobility Scooter rentals, Heavy Duty Mobility Scooter rentals, and Extra Large Heavy Duty Mobility Scooter rentals available at Cloud of Goods Orlando. All scooters can be delivered to MCO airport, your hotel or vacation home, or even Disney World and Universal Orlando theme parks or resorts. How does Cloud of Goods rentals work at Disney World and Universal Orlando? Cloud of Goods can deliver your scooter rentals to any of the Disney World or Universal Orlando theme park or resort. Delivery available from 8 am to 10 pm every day of the year including Sundays and Holidays. Simply make a reservation for all the equipment you want during your Orlando vacation and leave the rest to us! What is “Disney approved scooter rentals” and is Cloud of Goods a “Disney Approved Scooter rentals” provider? Disney has partnered with certain local vendors in the Orlando area and those vendors are called “Disney approved scooter rental companies”. This means, if you ask for a scooter rental company recommendation from any of the Disney properties, they can only recommend one of these vendors to you. However, you are not forced to rent a scooter from them. You are free to rent an ECV from any vendor of your liking including Cloud of Goods! In fact, Cloud of Goods deliver hundreds of scooter rentals to Disney World resorts and theme parks every day. Even though Cloud of Goods is not a “Disney Approved Scooter rental company”, we are one of the most preferred mobility scooter rental companies by Disney Goers! While most of these “Disney Approved Scooter Rental” companies are closed on evenings/nights, Sundays, and Holidays, Cloud of Goods is open 24x7x365. Customers love the Five Star Customer Support and the top quality scooter rentals provided by Cloud of Goods! Can I rent a scooter at Holy Land Experience in Orlando? Yes! Cloud of Goods delivers ECV Scooters to Holy Land Experience every morning and pick up the returns every evening. We are open throughout the year including Sundays and Holidays to help you with your mobility scooter rental needs at Holy Land Experience. Simply make a reservation online or by calling our 24x7 call center at (407) 988-2380. 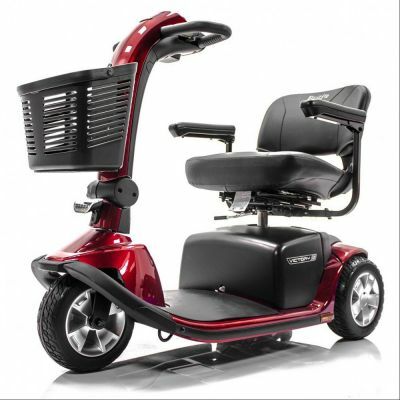 Can I rent a mobility scooter at Orlando to take on my cruise out of Port Canaveral? Yes! We can deliver to your Orlando hotel, MCO airport, or your preferred location within our delivery zone (Within 30 miles of Cloud of Goods Orlando office) in Orlando or you can pick it up from Cloud of Goods Orlando Office at 8600 Commodity Circle, #112, Orlando, FL. At the end of your cruise, you can return the rental equipment to our Orlando office or we’d be happy to pick it up from any location within 30 miles of our Orlando office. Can Cloud of Goods deliver a mobility scooter to Orlando convention center? Yes! We can deliver your scooter rentals to Orange County convention center any day of the year including Sundays and Holidays. We can also deliver to any of the nearby hotels to Orange County Convention Center including Hyatt Regency Orlando and Rosen Centre hotel. Can Cloud of Goods deliver a scooter rental to Orlando International Airport (MCO) and can I return the scooter back at the airport? Yes! We can deliver your Orlando scooter rentals to MCO airport anytime between 8 am to 10 pm every day of the year including Sundays and Holidays. At the end of your rental, Cloud of Goods delivery driver can pick up your rental returns at MCO airport as well.